For over a century, the Boy Scouts of America has helped boys find adventure in their local community and the great outdoors. The number one goal of Scouting is to have FUN! 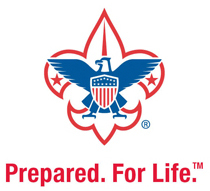 The Scouting program offers limitless activities to meet this goal; camping, canoeing, biking and snow tubing barely even begins to cover the awesome trips that units do on a regular basis. There's more to Scouting than just the trips however; it also helps boys develop character, strong leadership skills and build lasting friendships with their fellow Scouts. Growing up with Scouting is a positive life-changing experience that can give boys lifelong social skills and unforgetable memories that can't be found anywhere else.